You are a specialist. Why would you hire a billing company that does not know your business or specialty? We have a board of Insurance Experts, Doctors and Accountants. Not only does our team collectively boast over 100 years of insurance billing experience, but we are constantly updating our staff on the latest podiatry-specific insurance contract codes and modifiers to use for optimum reimbursement. You have most likely already seen or heard of Dr Stoker. 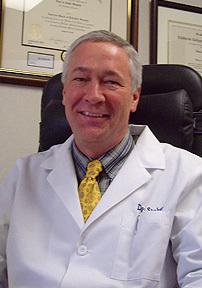 A podiatrist since 1974, Dr. Stoker lectures frequently for the American College of Foot and Ankle Surgeons. His unmatched credentials include department-head, chief-of-staff positions at respected hospitals, service as chair of several national committees on podiatric medicine, and medical consultant to a number of insurance carriers. Dr Stoker has a wealth of experience in understanding all aspects of Podiatry Practice as well as the Health Insurance Industry. Dr Stoker advises Podiatrists on how to optimize their insurance contract, and shares his insight into the Insurance Industry with us. Look out for his monthly tips. Every office should have a policy regarding overpayments. Before refunds are made to a patient or an insurance company, the office should review the patient’s account to make sure there is a true refund due. In the case of an insurance refund, the office should contact the insurance company to determine their protocol regarding refunds and follow up with the insurance company to make sure the refund is received or, in the case of an insurance offset, is adjusted on a future remittance advice. When a patient refund is due, the overpayment should be refunded to the patient within 30 days. If possible, the patient should sign a document that he/she received the payment. If the refund is sent to the patient, a follow up call should be made and documented that the patient received the refund.